All dogs infected with heartworms should be immediately treated with Doxycycline for four weeks at the rate of 10 mg per kilogram of body weight (about 5 mg per pound) twice a day, regardless of the treatment method you intend to use. Recent research has shown that treatment of heartworm-infected dogs with doxycycline weakens and sterilizes adult heartworms, kills all migrating larvae and half of the juvenile worms, and reduces the adverse effects caused by heartworms, and by their death. Doxycycline should be given prior to treatment with Immiticide (melarsomine dihydrochloride, now also available in a generic form called Diroban), to reduce the risk of treatment. It should also be used as part of a "slow kill" treatment protocol when Immiticide is not used. The American Heartworm Society's 2018 Canine Guidelines advise giving doxycycline at the rate of 10 mg/kg twice a day for 4 weeks. "If the dog is still antigen positive after one year, repeat the doxycycline therapy." (page 24). Giving doxycycline with food can help prevent digestive upset. Dosage of doxycycline can be cut in half only if the dog cannot tolerate a higher dose (we don't know if this will eliminate wolbachia or not). UPDATE: Doxycycline is in short supply as of the Spring of 2013. Minocycline may be an effective replacement. You may also be able to use doxycycline that is sold for fish or birds, such as Bird Biotic and Fish Doxy. See Doxycycline Shortage leaves People and Pets Scrambling for Treatment Alternatives for more information. If you plan to treat with Immiticide (melarsomine dihydrochloride, now also available in a generic form called Diroban), give doxycycline at the rate of 10 mg per kilogram of body weight (about 5 mg per pound) twice a day for four weeks prior to Immiticide treatment. At the same time, give normal monthly doses of Advantage Multi (moxidectin) or Heartgard (ivermectin). Note that prednisone can help reduce the risk from Immiticide injections. Recommended dosage of prednisone, to be started at the same time as the injections, is 1 mg/kg daily to start with, with decreasing dose over two to four weeks. See Summary of the Current Canine Guidelines for the Prevention, Diagnosis, and Management of Heartworm Infection in Dogs for more information (Table 1 has a quick overview of the recommended treatment protocol). If you elect to use the slow-kill method (no Immiticide), give doxycycline at the rate of 10 mg per kilogram of body weight (about 5 mg per pound) twice a day for four weeks. At the same time, give normal monthly doses of Advantage Multi (moxidectin) or Heartgard (ivermectin). If your dog does not have the MDR1 mutation, you can choose to give normal doses of Heartgard weekly rather than monthly to speed the death of the worms (do not apply Advantage Multi more often than monthly). Doxycycline treatment should be repeated yearly until the dog no longer tests positive for heartworms (note that a dog may test positive for up to six months after the worms are all gone). Note that new research shows up to 50% of dogs treated with this methodology may have a false negative result on their heartworm test. For that reason, a dog is not considered heartworm free until two negative tests, six months apart, have been obtained. It's best to do both an antigen and a microfilariae test to try to be certain that the worms are really gone. See CAPC Urges Additional Heartworm Tests for more information. Remember that anything that increases your dog's heart rate increases the risk as long as your dog is infected with heartworms. Weekly ivermectin is not recommended for dogs with the MDR1 gene mutation that causes sensitivity to ivermectin. See Dogs with a Drug Problem for more information. I recently heard of one vet who gives much higher doses of ivermectin, comparable to what would be used to treat mange, to try to speed the death of the worms, but I know of no research indicating whether or not this would work. It should be safe for most dogs, excluding those with the MDR1 mutation, or who are being treated with flea control products that contain spinosad. Note that giving high doses of ivermectin will also kill microfilariae, which could lead to anaphylactic reaction in some cases. Pretreatment with prednisone (or antihistamines such as Benadryl, to a lesser extent) can help to reduce the risk, but plan to stay with your dog for at the first 12 to 24 hours after giving high doses of ivermectin. If a reaction does occur, antihistamines or prednisone can help, but it's best to see a vet right away. See Update on Doxycycline and Heartworm Disease and Shortage of Immiticide for Heartworm Treatment for more information. Also see The American Heartworm Society: Guidance for Heartworm Disease Management During the Adulticide Unavailability for treatment guidelines when Immiticide is unavailable (note they don't specify which preventive medication to use, but I recommend using Advantage Multi (moxidectin) or Heartgard (ivermectin), as these two medications have more effect against adult worms than other preventives do, and are unlikely to cause a reaction to the die-off of microfilariae (mostly a concern with products that use milbemycin oxime, such as Interceptor and Sentinel). Now, new studies published in late 2008 clearly indicate that treatment with a combination of weekly ivermectin and daily doxycycline given intermittently will sterilize the heartworms, prevent the dog from being infective to other dogs (via mosquitoes), speed up the death of the worms prior to (or in place of) Immiticide treatment, limit inflammation and damage caused by the worms presence, and reduce the chance of serious adverse reaction from Immiticide treatment. All of these effects are greater when the two drugs are used together than when either is given alone. "Preliminary observations suggest that administration of Doxycycline plus Ivermectin for several months prior to (or without) melarsomine [Immiticide] will eliminate adult HW with less potential for severe thromboembolism than melarsomine alone." After 36 weeks, the use of doxycycline and ivermectin combined reduced the adult heartworms by 78.3% . "Treatment with ivermectin combined with doxycycline resulted in a significantly faster decrease of circulating microfilariae and higher adulticidal [killed more adult heartworms] activity compared with either ivermectin or doxycycline alone. . . . Results indicate that the combination of these two drugs causes adult worm death." "Lung lesion criteria, scored by two independent blinded pathologists, included perivascular inflammation and endothelial proliferation. Doxycycline treatment alone had no effect on lesion scores, whereas the combination of doxycycline and ivermectin resulted in less severe perivascular inflammation. . . . Interestingly, dogs receiving doxycycline/ivermectin/melarsomine showed significantly less severe arterial lesions and the virtual absence of thrombi." Any dog that is currently infected with heartworms should be treated with doxycycline as soon as possible. All heartworm-infected dogs should also be given a regular monthly preventative doses of Advantage Multi or Heartgard (Heartgard may be given weekly to dogs that do not have multidrug sensitivity). If the infected dog will be treated with Immiticide (fast-kill method), it is best to give the doxycyclineprior to beginning Immiticide treatment, as this should make the treatment much safer, by greatly reducing the potential for embolism and allergic reaction to the death of the worms. There may also be benefit in continuing to give doxycycline intermittently during treatment. If anyone has dogs currently undergoing treatment with Immiticide, I would start doxycycline immediately, as it may be beneficial even if prior treatment was not done. The ideal treatment regimen. Merial (the makers of Immiticide) recommends giving doxycycline at normal doses for 30 days before starting treatment with Immiticide. However, a laboratory study done on wolbachia showed that intermittent treatment with antibiotics was more effective in depleting Wolbachia than continuous treatment. The study showed that stopping the doxycycline for 7 days actually kills more wolbachia than continuous treatment. The study was short term, and showed only that more wolbachia were killed after 14 days when doxy was given for 7 days and then stopped for 7 days than when it was given for the full 14 days, and that more wolbachia were destroyed after 21 days when doxy was given for 14 days and then stopped for 7 days than when it was given for the full 21 days. I would conclude, therefore, that you should stop the doxycycline for one week prior to beginning treatment with Immiticide, but I don't know whether it would be best to give doxy for 30 days followed by one week off, or for 21 days followed by one week off, or for 14 days followed by one week off, or possibly even to give it for two weeks, stop for one week, give it for another two weeks, and stop for another week before starting treatment with Immiticide. Doxycycline should also be given to dogs that are being treated with the slow-kill method, using monthly Advantage Multi or Heartgard or any type of alternative heartworm treatment method, as it will weaken the heartworms, prevent them from reproducing, and reduce the chance of adverse effects caused by the heartworm infection itself, and by the worms dying. Wolbachia will repopulate over time, so the treatment with doxycycline should be repeated intermittently. A study on cattle infected with onchocerca volvulus (a filarial parasite similar to heartworms that cause a disease called River Blindness) showed that the Wolbachia repopulated within six months following short-term (two week) daily treatment with oxytetracycline. A combination of this short-term treatment with long-term intermittent treatment (double the dose, or 20 mg/kg, injected once a month for six months), eliminated 80% of the adult female worms as well as sustaining the depletion of Wolbachia. See this abstract for more information. In dogs, this might translate to giving doxy for two or three weeks at normal doses to start with, then repeating the treatment at twice the normal dose for one week out of each month as long as adult heartworms are present. The double dosage (10 mg/kg twice a day) is used to treat tick disease, so it is safe. Veterinarians may contact Merial, the manufacturer of Immiticide, for more information on this topic, if needed. "Wolbachia is a genus of rickettsial organisms (sort of like bacteria, but not exactly). They live inside the adult heartworm. These organisms seem to be protective or beneficial to heartworms and treating the dog with the antibiotic doxycycline seems to sterilize female heartworms (meaning they cannot reproduce). Wolbachia is also thought to be involved in the embolism and shock that result when heartworms die. The role of this organism is still being investigated. If your veterinarian wants to pre-treat your heartworm positive dog with doxycycline, it may be because of concerns regarding this organism. As new information emerges, we will post here." "Wolbachia are intracellular bacteria that infect numerous species of filarial worms including heartworms. Many contend that these friendly inhabitants (endosymbionts) play a role in the pathogenesis of diseases caused by heartworms and other filarids. Contention is that host immune responses directed at Wolbachia can actually go awry and enhance the disease process in heartworm infections. Some also contend that elimination of Wolbachia spp. from heartworms may affect the survival of adult heartworms and may decrease the host’s errant immunologic responses when adult worms are killed or die." "Dirofilaria immitis [heartworms] the cause of heartworm disease in dogs and cats harbours an endosymbiont intracellular bacteria of the genus Wolbachia (a Rickettsia). Studies performed recently indicate that these bacteria may play an important role in the pathogenesis and immune response to filarial infection (Bandi et al, 2001)." This article goes on to say that Wolbachia may contribute to many of the side effects of heartworm disease, including inflammation, kidney disease, lung problems and allergic reactions. "Furthermore, preliminary data from our laboratory indicates that antibiotic treatment before adulticide therapy in dogs with heartworm disease leads to a decrease in pro-inflammatory cytokines, particularly IL-8." This site has numerous other studies on human treatment, indicating that doxycycline, oxytetracycline (of which doxycycline is a derivative) and rifampicin (sometimes use in conjunction with doxycycline) are all effective against Wolbachia. "Bacterial relatives of Wolbachia include a number of agents that have arthropods as vectors and cause serious human diseases such as typhus, scrub typhus, ehrlichiosis, and Rocky Mountain spotted fever. Studies of these bacteria require special containment facilities. In contrast, Wolbachia have so far been found only in invertebrates and are not known to cause mammalian disease." Studies have identified heartworm isolates with “reduced susceptibility” (the term researchers prefer to “resistance”) in the lab to heartworm preventives. These strains were taken from dogs in the Mississippi Valley region who developed heartworm infections despite being on monthly preventives. Unpublished laboratory studies show that none of the existing heartworm preventive medications were 100 percent effective against these isolates. Potential heartworm resistance is believed to be geographically limited to the Mississippi Valley, from Missouri to Louisiana. One strain of heartworms called MP3 was isolated from a dog in Georgia in 2006 and kept in the laboratory for study, but has apparently not been found outside the lab since. One small study showed that only Advantage Multi was found to be 100% effective against this strain when a single dose was given 30 days post-infection (see below). Unpublished study results, however, show that when Heartgard, Interceptor, and Revolution were given for three consecutive months following infection with the MP3 strain of heartworms, all were 100% effective. I have written two news items regarding heartworm resistance. Let me know if you need information before they are posted on my site. Based on this new information, I strongly advise against giving heartworm preventives less often than monthly, or giving lower than recommended dosages. While this may have worked in the past, based on the original efficacy studies, it seems clear that it’s not working now. It’s best to give heartworm preventives year-round as well, not only for better protection against infection, but also to ensure that the manufacturer will pay for treatment should your dog become infected with heartworms. I also recommend annual testing for dogs, especially for those who live in heartworm-endemic areas, even if you give preventives all year round. Heartworm Preventative Guarantees: Manufacturers will only honor preventative guarantees when products are purchased from a veterinarian and given year-round according to label instructions. At least two online sites offer their own guarantees against product failures: 1-800-PetMeds, PetCareRx , and Drs. Foster & Smith. 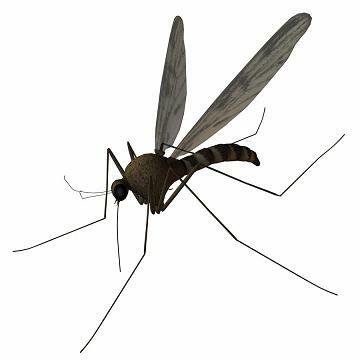 Update: Protecting your dog from mosquitoes may help to reduce the incidence and transmission of heartworm disease when used along with heartworm (macrolytic lactone) preventatives, especially in areas where heartworm is endemic and resistance has been found. See Research targets mosquito's role in heartworm disease and New research cited in support of change to heartworm protocol for more information. See the following sites for more information. Are Heartworms Getting Worse? Has a 2007 heartworm incidence map. Also talks about the possible emergence of heartworms that are resistant to current preventatives. See part 6 for information on treatment with doxycycline. The conclusion is that there may be some geographically-limited resistance to heartworm preventatives. This report also includes a summary of current testing and treatment guidelines. This paper also includes a concise summary of current treatment guidelines on pages 3 and 4. On June 5, 2008, Fort Dodge announced the return of the six-month injectable heartworm preventative, ProHeart 6 (moxidectin). This product was recalled and removed from the market by the FDA in 2004, three years after its introduction, due to the large number of reported adverse effects (over 5,500), including many deaths. The major change appears to be that the "new label includes warnings to not administer ProHeart® 6 within 1 month of vaccinations, and use the product with caution in dogs with pre-existing allergic disease, including food allergy, atopy [skin allergies], and flea allergy dermatitis. The label also advises not to administer the drug to dogs who are sick, debilitated, underweight, or who have a history of weight loss." (ProHeart 6 FAQ). In my opinion, the risks far outweigh the usefulness of this product, and I would avoid it; there are far safer heartworm prevention products available. See Dogs Adverse Reactions for more information. Advantage Multi, a new topical heartworm preventative that combines moxidectin with imidacloprid (used to kill fleas), is now available, but it should be considerably less dangerous, since you can discontinue usage if problems develop, which isn't possible with the six-month injectable form. There is a product called Dimmitrol that is sold in Australia and can be shipped to the US. Keep in mind that this medication is deadly to dogs infected with heartworms. See Canine Guidelines Summary for treatment guidelines (last updated 2018). Table 1 summarize their treatment recommendations. Note that "macrocyclic lactones" refers to heartworm preventive medications (Advantage Multi or Heartgard is recommended because of their stronger effect against adult heartworms). See American Heartworm Society releases 2018 canine heartworm guidelines for notes about changes since the last set of guidelines was published in 2014: New priorities include clarifying testing recommendations and avoiding shortcuts during treatment. See Incidence Maps for 2001-2016 (note the 2010 map showed a decrease likely due to cooler, drier weather). Heartworm The information here is slightly outdated, but it gives a very good overview of heartworm infection, prevention and testing, with some info on treatment. Geographic Distribution of Tick-Borne Disease and Parisites for Dogs and Cats Parasite incidence maps from the Companion Animal Parasite Councel. Click on Heartworm and then on your state for detailed information on the number of positve heartworm cases in your area. Parasite Prevalence Maps Interactive map showing the incidence of heartworm, intestinals worms, and three types of tick disease in various states and counties. Heartworm in Canada in 2010 Survey has links to reports of heartworm incidence divided into four sectors: Atlantic Canada, Québec, Ontario, and Western Canada. UF veterinarians offer alternative treatment for severe heartworm cases Veterinarians at the University of Florida announced in October 2011 that they are now offering a minimally invasive method of extracting heartworms through the jugular vein using specialized instruments. Call the UF Small Animal Hospital at (352) 392-2235 for more information.